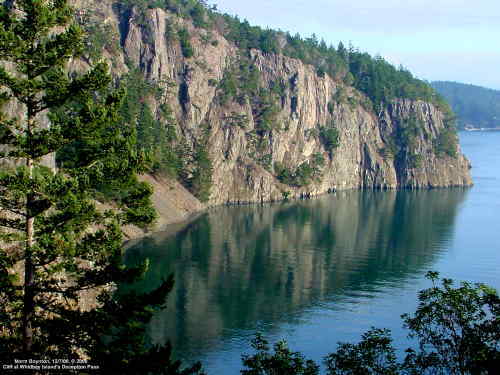 Wallpaper Photo - "Deception Pass Cliff"
on Whidbey Island on December 7, 2000. 1. Click on the photo and size you want. but this method uses up more of your disk space with a BMP file. of cost, but you may not sell, distribute or alter any without my permission. that you would like to see made into wallpaper photos.